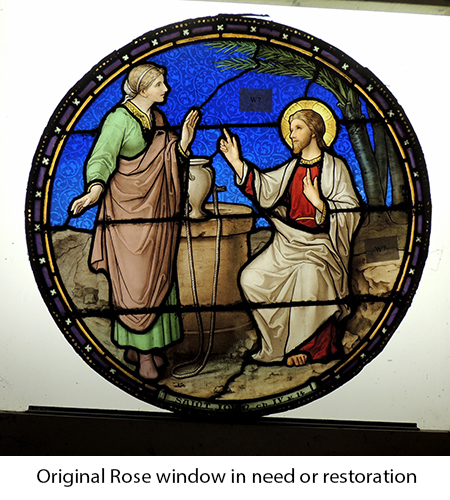 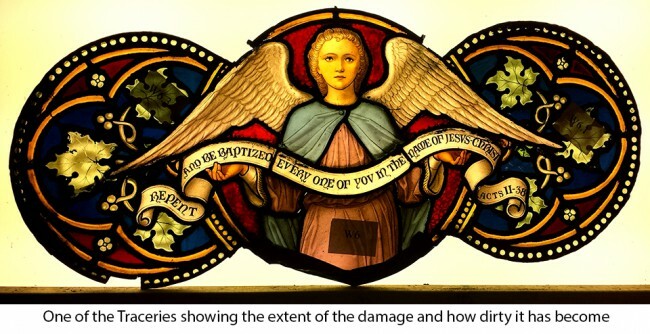 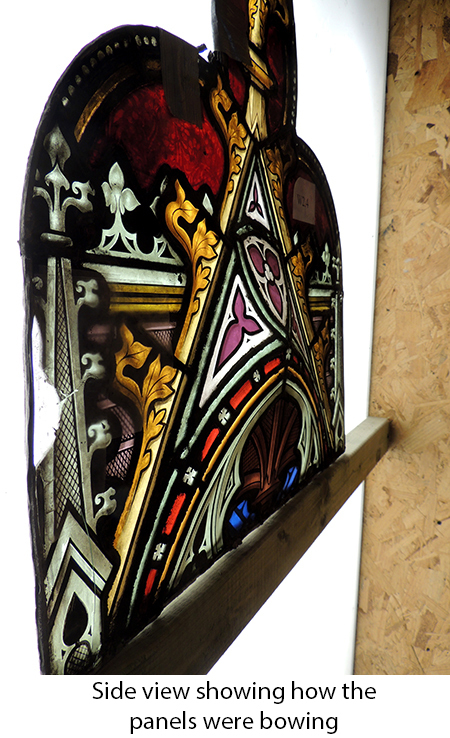 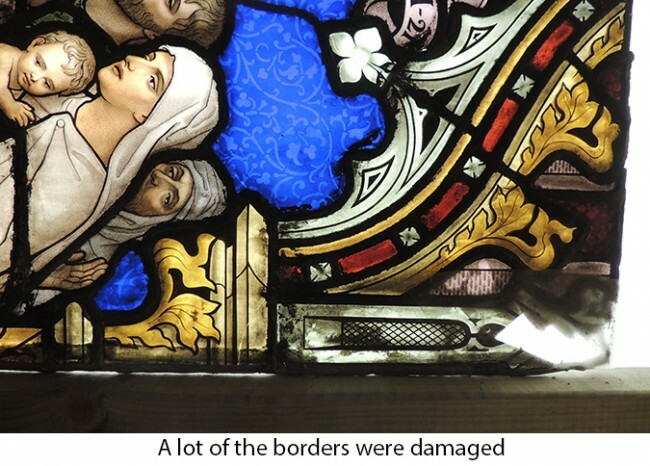 In need of some serious restoration work, Ark carefully removed this window from the church and were able to closely survey the damage and toll that time and weather had taken on the stained glass windows. 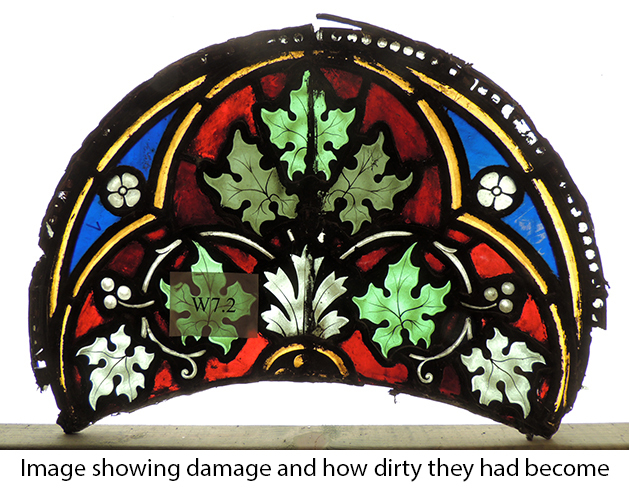 Some of the photos show the damage the windows took, along with how severely some of the panels had bowed. 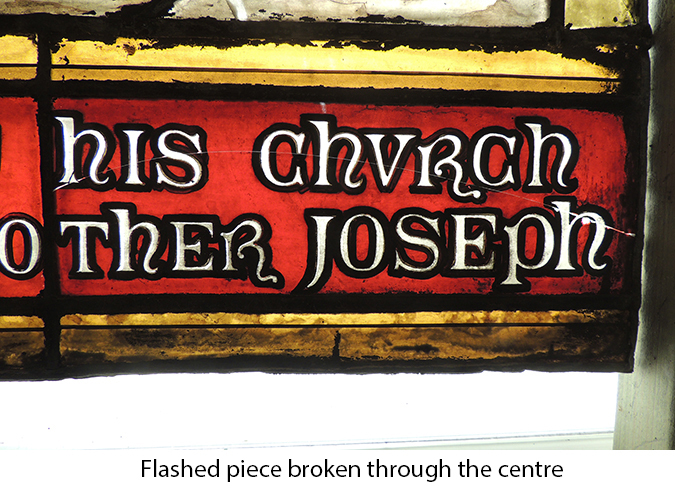 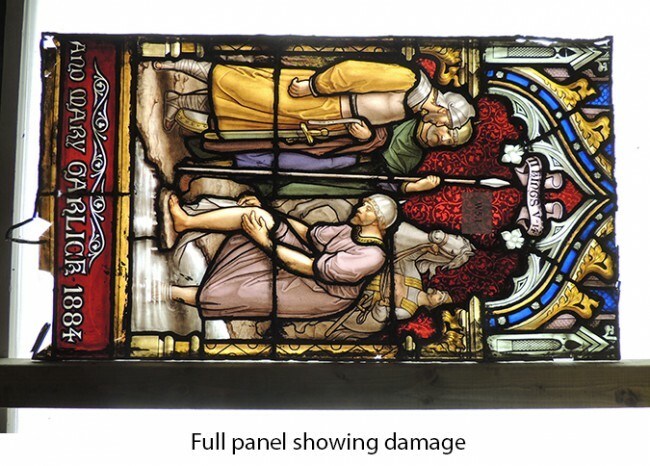 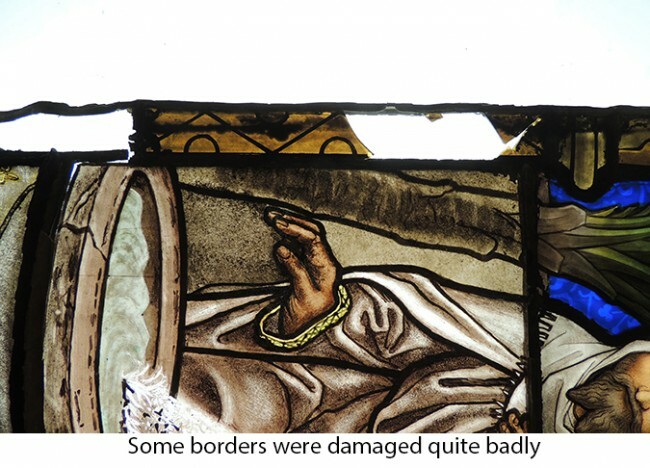 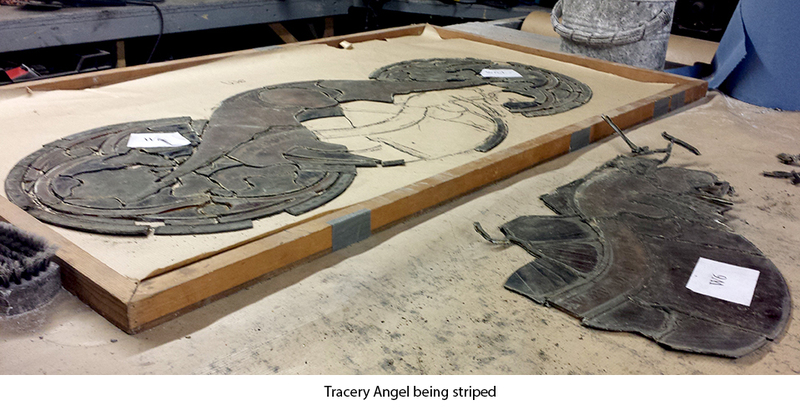 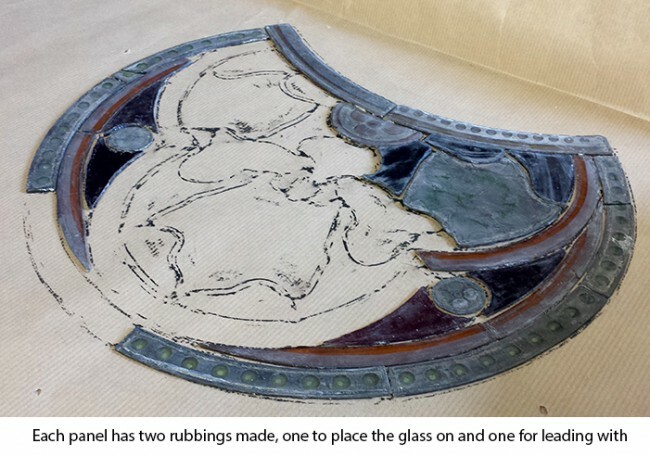 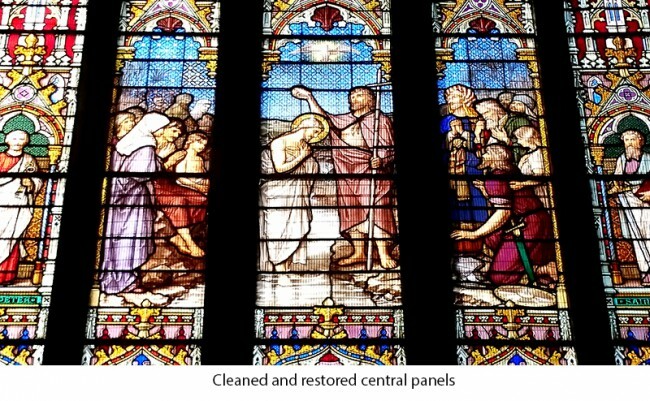 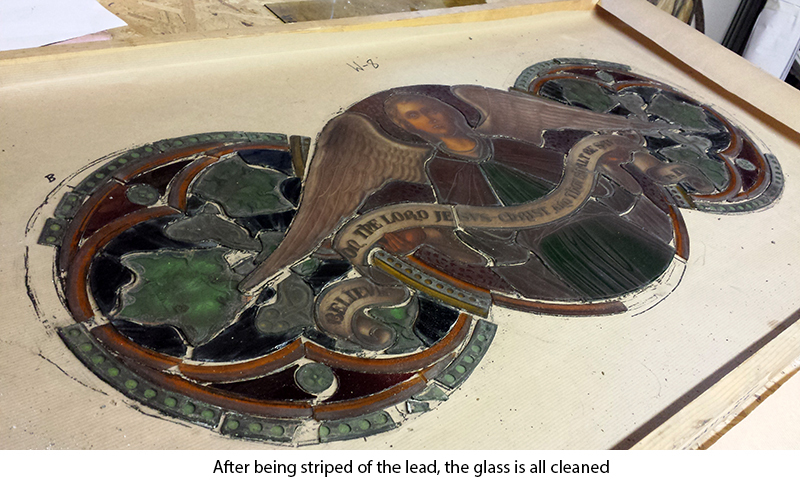 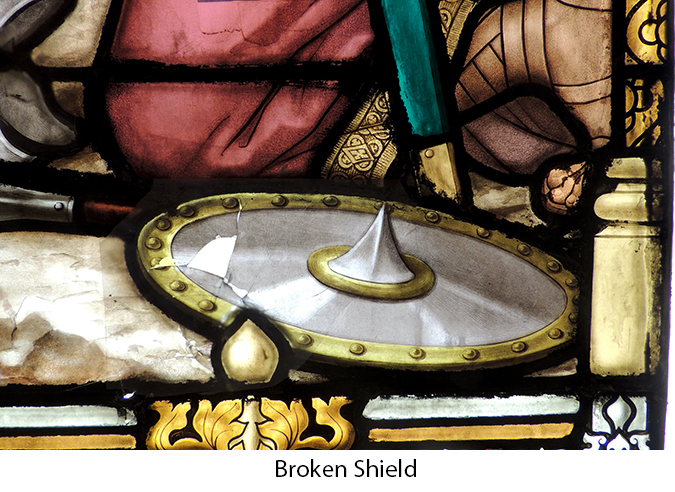 With great care the panels were stripped, the glass was cleaned using specialist supplies, and fractured pieces were either rescued by plating or repainted – this was kept to border pieces whilst the painted central images were able to be saved, glued and plated. 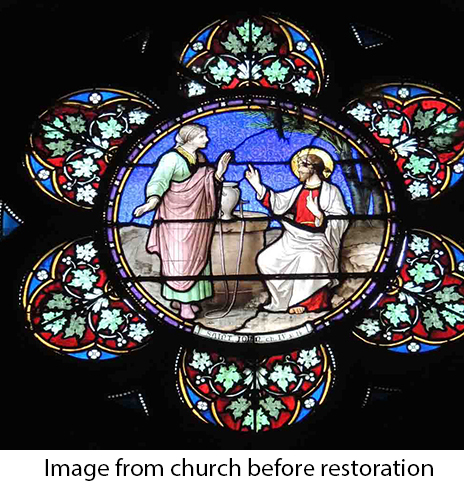 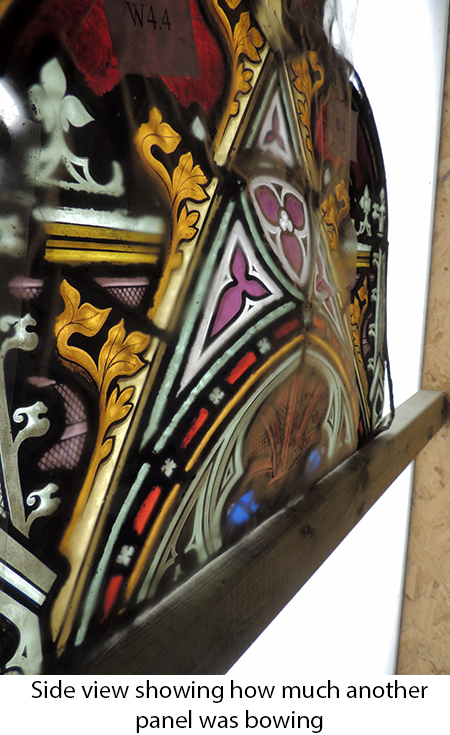 With new lead, new bars and restored grills these stained glass windows have been restored to their original beauty, also maintaining previous restorations to fully show the history of this window. 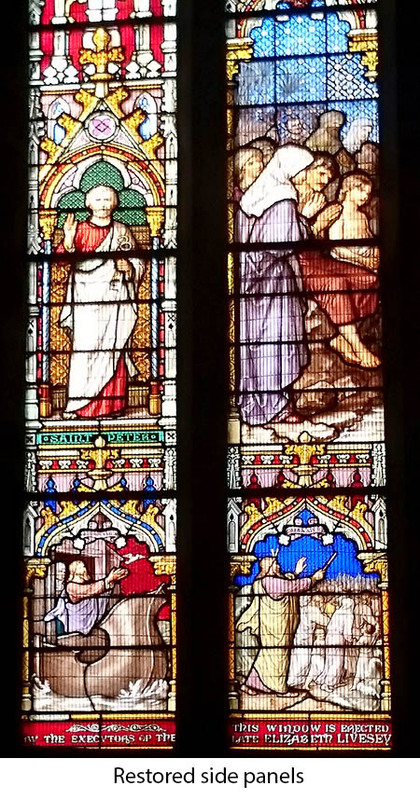 Original window by J B Capronnier. 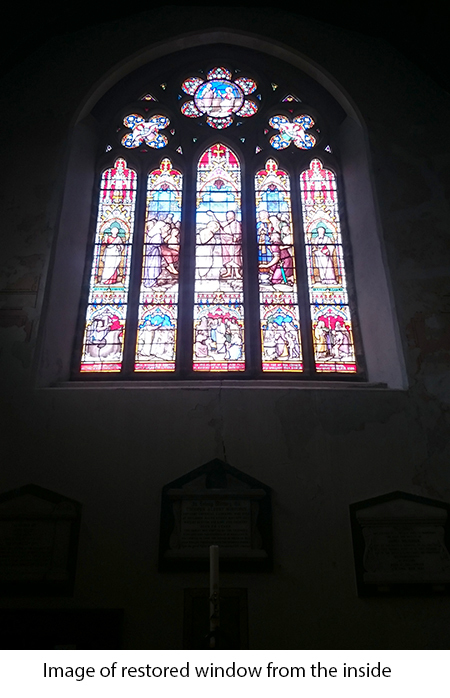 St Margaret of Antioch is a grade II listed parish church 1877-79 designed by R Knill Freeman. 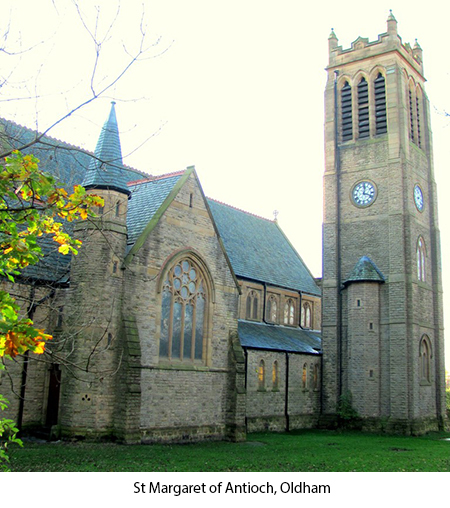 The tower was completed in 1906. 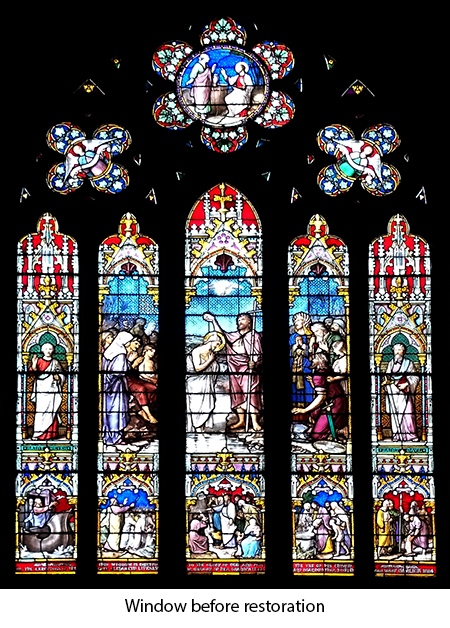 South transept window and west window both by J B Capronnier. Some church furnishing are by ‘Mousey’ Thompson.